(NaturalNews) Brilliant neurosurgeon Dr. Ben Carson may not win the Republican presidential nomination – let alone the general election – but the man has his facts right about the Constitution, the nation's founding and what it all means, especially in today's post-constitutional, secular world. In fact, Carson's much more well-versed in the constitutional history of our country than many in the mainstream media – yes, the same mainstream media that continually looks for ways to tear him down, belittle him and make him out to be some off-the-wall lunatic (which is pretty hard to do to a soft-spoken, inherently decent man who is very obviously a talented genius, based on his academic and professional success). As reported recently by Breitbart News, some of the mainstream media tried to take Carson to task for allegedly incorrect statements regarding one of the nation's most famous founding fathers and early presidents, Thomas Jefferson, but fell completely flat because they were completely wrong (and Carson was right). Those who have studied American founding history without the lens of bias imposed by today's far-Left academic institutions, know how influential Jefferson, our third president, was in the crafting of the U.S. Constitution. Jefferson is known principally as the author of the Declaration of Independence, while James Madison is most often associated with being the earliest architect of the nation's founding document, as well as the primary force behind the Bill of Rights. The two were very close friends and lived close to each other in Virginia. They also kept in touch regularly through letters. "Jefferson and Madison were of like political minds, and during the Constitutional Convention, while Jefferson was across an ocean as U.S. Minister to France, the two men enjoyed an intense and productive correspondence about what the U.S. Constitution should look like." "After the Constitution Convention was over, Jefferson had this other idea called a 'Bill of Rights,' which you might have heard is a part of the Constitution. Jefferson sorta played a key role in all that First Amendment, Second Amendment stuff. If you don't believe me, go ask the American Civil Liberties Union, which is big on rights like free speech and freedom of religion. "To get the basics of Jefferson's role in the creation of the Bill of Rights, which are, as I mentioned, a pretty important part of the Constitution, all you have to do is read the Spark Notes version. Or you can get it in easy Q&A format from the U.S. Archives." Now mind you, none of this is a deep, dark, protected national security secret, but Mastio did a good thing in standing up for Carson. But, apparently some in the corporate media – that would be CNN, Politico, Newsweek and The Washington Post in this case – haven't read that historically correct information. Or they just like trashing Carson, which is nothing new. During a recent appearance on C-SPAN, Carson said he admired Jefferson for the role he played in helping to craft the Constitution. Within moments reporters from these outlets took to Twitter to collectively guffaw at a black conservative Republican who, they insinuated, didn't know the difference between who wrote the Declaration of Independence and who helped craft the Constitution (here, here, and here). What's worse, reporters and editors at these publications didn't even bother to do a basic search before they banged out (incorrect) stories accusing Carson of getting it wrong – when it was they who were displaying their ignorance of history. As Breitbart News noted, not one of the ignorant responded to him when he reached out and asked them if they intended to change their stories. It's no wonder the alternative media is kicking the mainstream media's you-know-what in the three R's: ratings, revenue and readership. 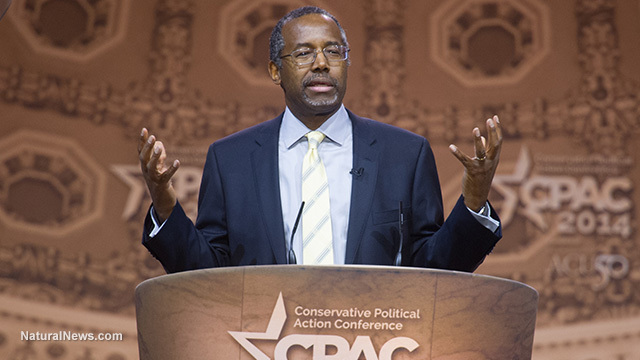 Ben Carson confirms eugenics and depopulation agendas are active in America, targeting black people!